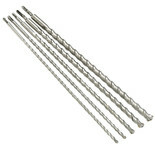 A set of 5 600mm SDS drill bits, ideal for a wide range of drilling applications involving concrete, masonry, block & stone. 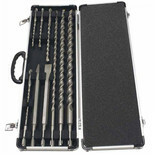 These SDS drills are for us with an SDS hammer drill. 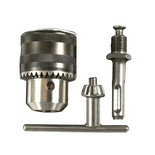 They are carbide tipped for easy drilling in hard materials. 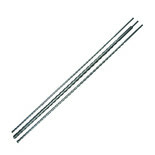 They are 1000mm long so you can through large, thick material with ease. 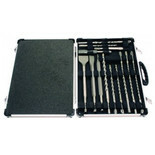 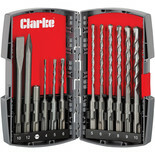 12 Piece SDS Plus drill and chisel set - Ideal for drilling /chiselling masonry and concrete. 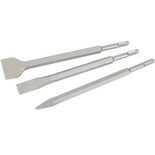 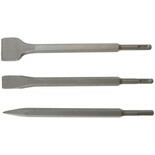 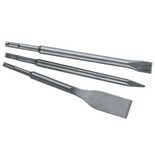 Three very hard wearing chisels, with SDS+ shanks, designed to be used for various breaking & demolition jobs in bricks, concrete & most masonry. 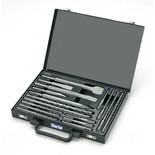 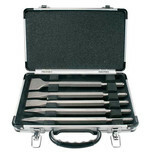 A set of 17 quality SDS+ chisels from Makita, supplied in a sturdy aluminium carry case. 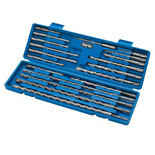 A set of 10 quality SDS+ drills & chisels from Makita, supplied in a sturdy aluminium carry case.